A great night was had by all at the KCH awards in the Set Theatre Langton’s at Langton House Hotel a fantastic celebration of all the success in 2017. The awards night is a great way for athletes to meet up and bond outside of training. It is also a great social event for parents to get to know each other and development relationships with the coaches. The set provided a great venue with fantastic atmosphere and loads of nibbles for everyone present. The selection of pictures to show of the best of 2017 was a great reminder of all the achievements the club had in 2017 and a reminder to all what we do throughout the year. Well done to all who received awards for their hard work and commitment thought out the year. Thanks to all who came. Thanks to all those who help out in the club throughout the year and to the parents who drive our athlete’s from fields to tracks around the country and to our coaches who continue to drive for better. Keep up the hard work make 2018 your year. Thanks to Langton’s for hosting us. 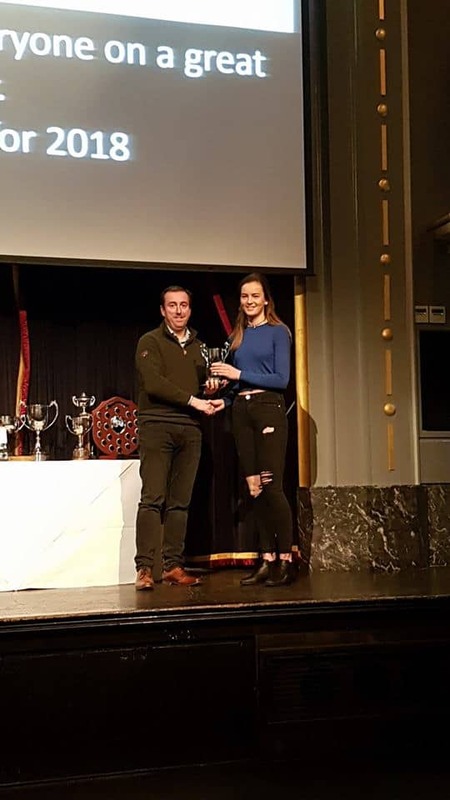 Special thanks to Sean Lynch and May Hutt for all their hard work in organising our awards night and tracking and calculating the points throughout the year!